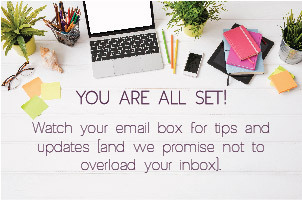 Keeping track of your tax related information during the year can save many hours of frustration when preparing to file your return. 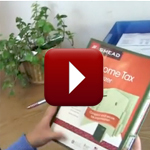 Here are some ideas to make tax time less stressful. Gather your tax records all year. 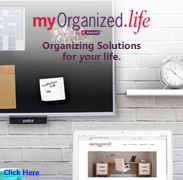 Group records by how you file. Keep the file for seven years. You’ll be able to prepare your taxes in less time and feel confident that you have the documentation to support your return in an audit. 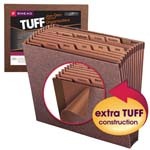 Smead Recommends using a Colored Expanding File to organize tax records. 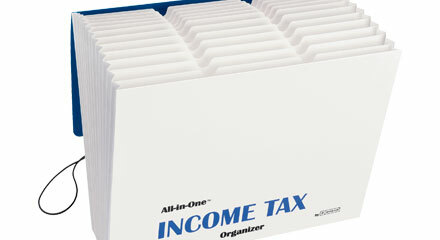 Save time when preparing taxes by keeping all tax information for the year together in one Colored Expanding File. 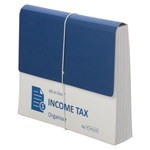 Start a new file for the current tax year in January so you have a place to put records throughout the year. File receipts and tax related records weekly so you don’t misplace them. Separate documents into the categories you use for each part of your return. Review previous tax returns for help establishing categories. Write the categories on the tabs and arrange them in the file in a straight line for quick reference. Consult your tax advisor for advice on your minimum retention requirements. 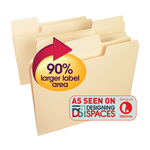 Choose antimicrobial stock to protect the file from mold and mildew damage.